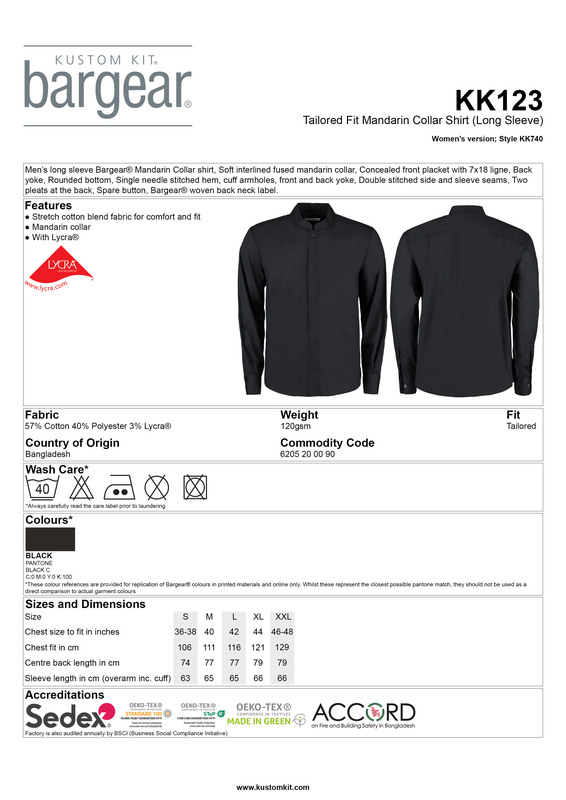 Bar gear Men's Long Sleeved Bar Shirt Mandarin Collar a very versatile piece of clothing that is easy to wear and look after. Made from cotton, polyester and lycra this shirt has a soft fused mandarin collar, concealed placket, shirt tail hem, double folded side and sleeve seams and matching buttons. Black only.